We’ve all played the game “Truth or Dare” before, but it definitely didn’t turn out to be an evil and deadly game as it did in the movie, Truth or Dare. Everyone has been rushing over to the movie theaters to see this frightening, horror film with one brilliant cast. The extraordinary and immensely talented actor, Sam Lerner had a terrific time as he attended the premiere of his movie, Truth or Dare on April 12, 2018 at the ArcLight Cinerama Dome in Los Angeles, California. The phenomenal Sam Lerner looked amazing wearing a Hugo Boss suit, a Cos shirt, a watch from Omega and shoes from They. Sam Lerner was groomed by Matilde Campos for the event and was styled by Mercedes Natalia. Sam Lerner shared the photo as seen below on his Instagram account of his fun time posing on the red carpet at the premiere with his Truth or Dare cast-mates. 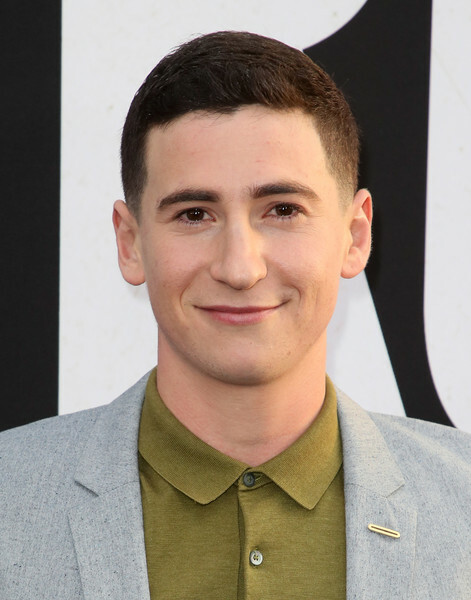 Check out some more pictures below of the outstanding Sam Lerner at the premiere of Truth or Dare and be sure to catch him in the much-talked about horror film out now in theaters! Previous VIPAccessEXCLUSIVE: Pop Your Shop, J.D. Luxe Mobile Truck, Emily And Lucy Jewelry, Glamifornia And More Got Attendees Festival Ready At The Pre-Coachella “Buchella” Event! Next Article: Jason Aldean Performed Songs From His New Album At The “iHeartCountry Album Release Party With Jason Aldean” – RECAP Here!